Last week, the news came out that Doug Liman (Edge of Tomorrow) would direct a Justice League Dark movie, with a script from Guillermo del Toro, who would be sticking around to produce. All of that sounds like great news, but there’s just one issue: the looming presence of Warner Bros. over it all. For the past week, I’ve been debating people on when, exactly, I have to stop giving Warner Bros. the benefit of the doubt on their movies. I know, I know, that people are going to send me emails and comments saying that I haven’t done that at all, that I was predisposed to spew ignorant hatred about Batman v. Superman and Suicide Squad because of the vast media conspiracy to prop up Marvel and trash DC. That’s not true. Believe it or not, I didn’t get into this business because I hate things, I got into it because I love things. And I always go into these movies hoping they’ll be great. And if you don’t believe my intentions, believe that I don’t like taking hours out of my life to watch, think about, and write about things that are bad. Unfortunately, a lot of decisions that Warner Bros. makes regarding its movie franchises are, well, bad. It’s a studio that learns all the wrong lessons from success: The Lord of the Rings turned three very long books into a coherent trilogy by doing some very judicious editing. So of course The Hobbit turned a single book into a very long trilogy by adding in a lot of incoherent things. Harry Potter hired experienced screenwriters to adapt J.K. Rowling’s beloved novels into a franchise. So now Rowling herself is writing a screenplay for a movie trilogy based on a fake textbook with no plot to speak of. And then there are the live-action DC movies. Like the other franchises above, Warner Bros. managed to take away the worst possible lessons from 2006’s lackluster Superman Returns as well as Christopher Nolan’s hit Dark Knight trilogy. With Superman Returns considered a flop (actually, it had middling-to-positive reviews and was the sixth-highest movie at the box office, so it was more mediocre than a disaster) and Nolan’s Bat-movies all critical and commercial hits, WB decided the grounded and gritty take that worked for Batman would also work for all of DC’s superheroes, including Superman. While Nolan was making his trilogy, the studio made the decision to start a whole new DC universe with Zack Snyder in charge. First order of business: Putting Superman back on-screen with the same dark tone and sensibility of Nolan’s Batman. The result was of course 2013’s Man of Steel, which did well financially, but its reviews were worse than Superman Returns’ were. 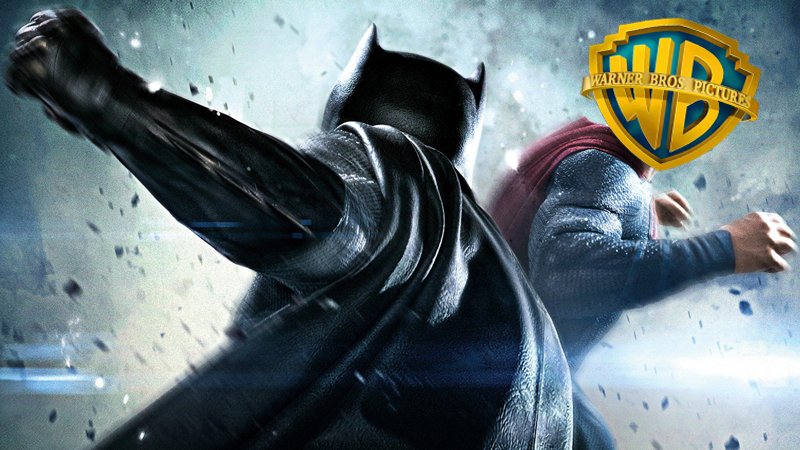 Warner Bros. decided that it was the team-up that was important, even though Man of Steel was explicitly made to reboot the character instead of working towards Batman vs Superman movie. And so Batman v. Superman was announced instead of a standalone Man of Steel sequel in 2013. So, suddenly Man of Steel became a funnel to Batman v. Superman, a movie which was forced to use Superman, Batman, and Wonder Woman, without taking the time to introduce the later two heroes individually. It fared even worse with critics and fans than Man of Steel had (although it did have a somewhat higher box office). We now know that Warner Bros.’ then turned its attention to Suicide Squad, which was written and directed by David Ayer, and who had last made a much smaller-scale war film. It was a film that by all accounts had the same dark sensibility as Man of Steel and Batman v Superman, matching the tone for the DC movie-verse as set by those movies. But after a trailer that played up the movie’s madcap elements received a great response from fans (including us)—and after the many complaints about the darkness of Batman v Superman—Warner Bros. stepped in to “fix” Suicide Squad. I have no idea if the studio version of the movie—edited by the company that made the trailer—or Ayer’s was better. I do know that the version we got was clearly the servant of two masters. Add to that press cycle where the on-set antics were more interesting than the actual film, and all the goodwill garnered from the trailer was gone. In retrospect, the late 2000s and early 2010s is when Warner Bros. lost the plot entirely. The longtime COO was pushed out in favor of a younger generation—he’s now the Chairman of Walt Disney Studios. It knew that Nolan and Christian Bale were ending their most successful DC movies in years, and didn’t know what to replace it with other than with the Zack Snyder Superman movies. It’s when Marvel really started picking up steam and the studio wanted to replicate that success, but faster. And that whole downward spiral is why no announcement from Warner Bros. about their current DC movie plan can be viewed uncritically. Sure, Wonder Woman has a great trailer—but so did Suicide Squad. Sure, Guillermo del Toro and Doug Liman are working on a Justice League Dark movie, and that’s an amazing pairing. But who says that Warner Bros. won’t step in and re-edit that movie? And the Justice League stuff we’ve seen looks a significant improvement, but Zack Snyder is still directing. Virtually every decision made by Warner Bros. with regards to its DC superhero movies has been bad. But it’s been so desperate to recreate Marvel’s success that it keeps running forward, trying to constantly course correct, when what it really needs to do it take a break, a deep breath, and start over from scratch with a long-term plan that it will actually stick to. 1) Reconsider its announced schedule. The Flash has already gone through a director change and there were rumors that James Wan was going to leave Aquaman. Both of these films are supposed to come out in two years. Warner Bros. needs to make these films on a much more fluid schedule than a “this date or bust” idea. This is an industry-wide problem, but one that is killing Warner Bros. more than most. 2) Actually give Geoff Johns and Jon Berg the kind of visible control that Kevin Feige has over Marvel. Right now, Zack Snyder is the face of DC’s movies in people’s heads, and that vision is of someone who fundamentally doesn’t understand these characters, but does understand the color gray and rain. The announcement was a good first step, but now it has to actually look like they are in charge and Snyder is not. Letting Snyder producer and/or co-write the upcoming movies is not helping. 3) If Wonder Woman is received well, don’t suddenly decide to replicate it in every other movie. If they suddenly try to turn Aquaman and The Flash into World War I movies, we’ll know Warner Bros. is still not learning what they need to. 4) Leave the Justice League Dark movie alone. It’s disconnected enough from everything else that it can and should be an incubator of better things. Prove you can do this, Warner Bros.
At the end of the day, it might already be too late for the current DC Extended Universe and they might have to start over. Or, the smart move that no one will ever do because it would be admitting failure, announce that everything, starting with Wonder Woman, takes place on Earth-2. Warner Bros. needs to make some very visible changes to its DC movies, and making a single good movie isn’t the only part of it. I want the DC/Warner Bros. movies to give Marvel/Disney some real competition, I want them to outdo each other so that we, as fans and movie watchers, benefit from two strong franchises. But until Warner Bros. proves it has a bigger picture in mind and isn’t just overcorrecting after the fact, I’m not going to trust it.